The self driving vehicle is often hailed as the transportation of the future, and with tech giants from Apple to Google to Tesla throwing their considerable weight behind the venture, the future may come sooner than expected. Self-driving vehicles offer the promise of enhanced safety and improved convenience – not to mention the undeniably cool novelty of it all – but they also come with a darker side. Since they’re essentially internet cars, these high-tech autos are potentially vulnerable to a whole host of security issues. To get to the bottom of these security risks, and to find out what automakers are doing about them, let’s take a closer look at how the next generation of autonomous vehicles is preparing to hit the road. Fully autonomous cars may not be quite ready for primetime yet, but they’re getting closer to reality than ever before. More than 60 cities around the globe have driverless car testing programs either ongoing or in preparation, and nearly three dozen others have launched efforts exploring vehicle automation. A staggering $80 billion has already been invested in the technology, and virtually every modern automaker has dedicated resources to driver automation. While only about 130,000 vehicles per year are currently being sold with partial automation, about 98,000 are projected to be sold with full automation capabilities by 2020. That number is expected to rise to more than 96 million by 2040 – representing fully 95 percent of all vehicles sold. As it currently stands, the undisputed leaders in self-driving vehicles are Tesla, Waymo, Apple and General Motors. Tesla has already made inroads with its semi-autonomous electric vehicles, and CEO Elon Musk remains resolute in his goal to take a cross-country trip with no human driver inputs before the end of 2018. If successful, this full automation technology is expected to be pushed out to consumers shortly thereafter. Waymo, the self-driving car project started by Google, can boast more than five million real-world miles driven by its stable of autonomous vehicles, along with pilot initiatives for autonomous ridesharing programs and other ventures. Apple has rapidly expanded to become one of the largest permit-holders for self-driving vehicle tests, while GM’s self-driving Cruise AV is waiting on approval to become the first self-driving commercial vehicle to do away with manual driver controls entirely. If approved, GM will put a fleet of 2,500 such vehicles into use as so-called “robo-taxis” in the next few years. With self-driving capabilities becoming closer and closer to reality for private vehicles and public transit alike, it’s natural to wonder about the safety and security of these new technologies. Indeed, a recent report compiled by the FBI highlighted a number of security concerns associated with self-driving vehicles, concluding that equipping a vehicle with autonomous technologies could make it “more of a potential lethal weapon than it is today.” Terrorism is one concern, as terrorists could potentially pack a vehicle with explosives and turn it into a driverless bomb on wheels, controlling it from a safe, remote location. Of greater concern for the average driver or passenger, however, is the risk of bad actors hacking into and seizing control of a car’s driving controls and other essential systems. This access could potentially be used to deliberately cause accidents or to drive a vehicle to a chop-shop or other unsavory destination, putting an all-new, technologically savvy spin on car theft. It could also enable criminals to lock passengers inside their vehicles, driving them somewhere against their will or holding them hostage for ransom money. Further complicating matters is the fact that, because self-driving technology is still in its early stages, the full scope of autonomous car security risks is not yet understood. This may all sound like much ado about nothing, but these concerns are more than just hypothetical. White-hat hackers have been demonstrating security flaws in connected vehicles for years, illustrating how easy it is to seize control over a variety of systems by exploiting even non-automated cars. The problems are only exacerbated with internet cars, where many – or all – of a vehicle’s systems are controlled by computers and therefore open to attack. Even Tesla’s advanced Autopilot system can be tricked fairly easily. A Chinese security firm recently showed how easy it is to spoof the car’s sensor systems, causing them to sense phantom objects or fail to detect real ones. While hackers represent a clear and present threat to autonomous car security, they’ve also proven to be valuable allies. Automakers have been employing ethical hackers in recent years to test their control systems and expose vulnerabilities, allowing them to identify and patch security flaws before these systems hit the road. DEF CON, the world’s largest annual hacker convention, regularly hosts a feature called Car Hacking Village, wherein hackers from around the world compete to hack into a variety of vehicle technologies in an effort to improve cybersecurity efforts in the automotive industry. The United States government, too, has moved to begin grappling with the reality of self-driving vehicles. 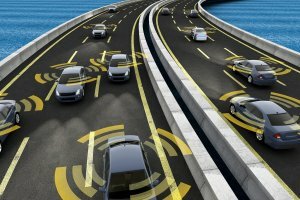 A bipartisan SELF DRIVE Act laid out the basic groundwork for autonomous vehicle regulations in 2017, including provisions to support greater testing and innovation, simplify safety standards and mandate that carmakers put in place plans to protect against and respond to cybersecurity threats, secure their vehicle technologies and protect users’ personal data. Additional rule changes are likely to be needed in the coming years, but self driving car security has clearly become a priority for lawmakers and regulators. 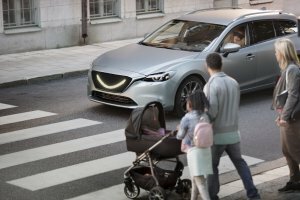 Do Consumers Trust Self-Driving Cars? The technology to enable fully autonomous self-driving vehicles is almost ready to hit the market, but is there a market for these cars in the first place? 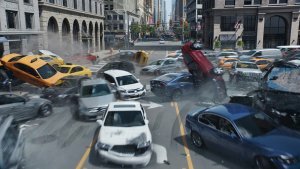 Resistance to autonomous technology has certainly been on the decrease – recent surveys have shown the number of people who would be afraid to ride in a self-driving car has fallen by 15 percent in just the last year – but many consumers are still not ready to put their trust in autonomous vehicles. Another survey revealed that 67 percent of Americans were concerned about potential cybersecurity threats. It’s worth noting, however, that some of the resistance to self-driving cars may simply be due to a lack of familiarity on the part of consumers. About 65 percent of Americans know little or nothing about the development of autonomous vehicles, and those who are most informed also tend to show the fewest concerns and reservations. Recent trends suggest that consumers will become steadily more accepting of driverless vehicles as they become more familiar and widespread. There’s little question that driverless vehicles will be the transportation of the future, but when that future will arrive remains an open question. There are plenty of serious security concerns to be addressed before self-driving cars can be widely adopted, and consumers remain rightfully skeptical of automakers’ ability to protect their vehicles from unauthorized access. Still, with the ever-evolving march of technology – and the assistance of unlikely hacker allies – it likely won’t be long before safer, smarter, more secure self-driving vehicles fill roads across the nation.